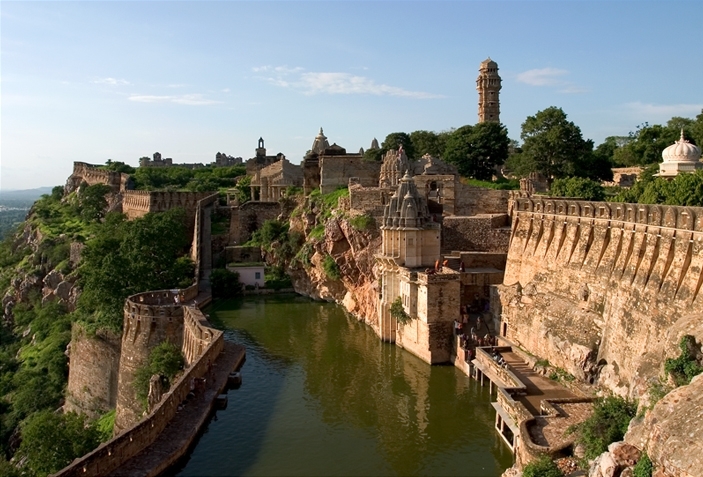 Chittorgarh is the well-known city of Rajasthan State, India. Some other names of the city are Chittor, Chittaurgarh or Chittaur. Rajputs from Rajasthan are famous throughout the world. 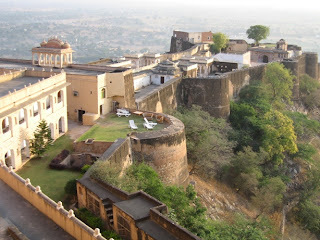 The empire of Rajputs created Chittaur as the capital city of Mewar in ancient period. The city is located near two rivers Gambhiri and Berach. History is having great value of Chittorgarh because of braveness of kings, queens and children of the city in ancient time. Queen Padmini and Queen Karnavati are two world famous names of great Indian female warriors. These both queens fought for their kingdom in Chittor. Gora and Badal were two great worriers fought against Allaudin Khalji in 1303 AD. Some more great fighters got huge popularity in history is Jaimal and Phata. They did the war with the Mugal’s in 1568 AD. The bravery of these worrier impressed Mugal Emperor Akbar. Akbar installed the statues of Jaimal and Phata in Agra fort. Meera the devotee of Lord Krishna was also from this city. 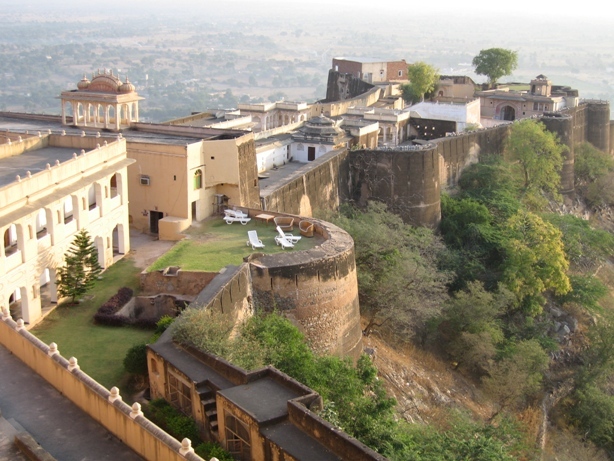 This legendary city is known for Asia’s big fort constructed by Rajput Rulers. People want to learn Indian history should visit this Indian tourist place. The daring, valor and sacrifice of Chittorgarh rulers made the city special than any other place of India. Countless legends from the city made history particularly for their Rajput Empire. 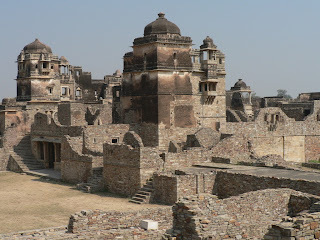 Main tourist places in Chittorgarh involve the Chittorgarh Fort, tower of success known as Vijay Stambh, tower of renown known as Kirti Stambh, Rana Kumbha's Mahal, Rani Padmini's Mahal, temple of Kalika Mata, and Museum. Chittorgarh Castle (Killa/Fort): The biggest fort of Asia is situated in Chittorgarh, which is the sign of the Rajput bravery and ultimate sacrifices. The fort is constructed at good height of 180 meter from the ground level. 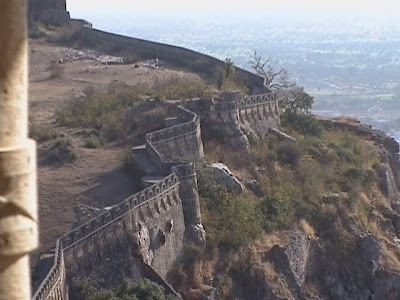 The high hard rock hills of Rajasthan are really difficult to break, but Rajput rulers broke these hills and created historical fort with solid stones. 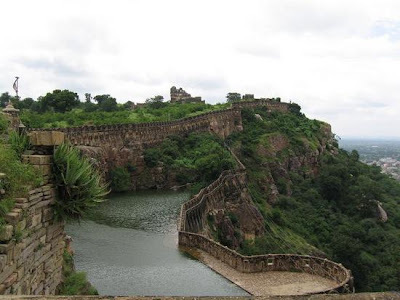 To approach the Chittorgarh Fort travelers have to cross 1 km zigzag road on the hill. There are 7 gates to enter the main entrance Rampol. The Fort covers 700 acres land and construction was done by Maurya’s in the seventh century AD. Some people believe that the fort was constructed by Pandava’s. Rajput’s great warriors Maharana Pratap, Gora, Rana, Badal, Kumbha, Jaimal, Patta, and some more played vital role to save the city from external attacks. 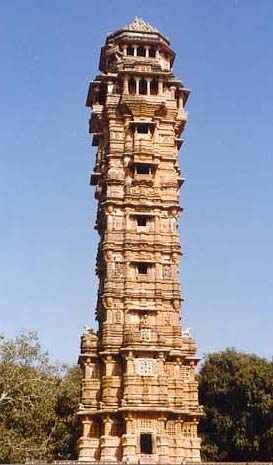 Tower of success (Vijay Stambh): the tower constructed by Maharana Kumbha is famous as tower of victory. The tower was constructed after the win of war against Mahmud Khilji. This tower is 37 meter high with 9 stores. Tower of Fame (Kirti Stambh): this is another tower dedicated to the first Jain Teerthankar Adinath. This must visit spot of Chittorgarh is having narrow stairway. Rana Kumbha Mahal: this impressive huge monument is constructed inside the Fort of Chittorgarh. Rana Kumbha was the very good architect and he loves the creation of various designed buildings. This palace was the best example of Rana’s creation, though the palace played some important roles during in history of Chittorgarh. Queen Padmini committed sacrifice at this palace just to protect her honor. 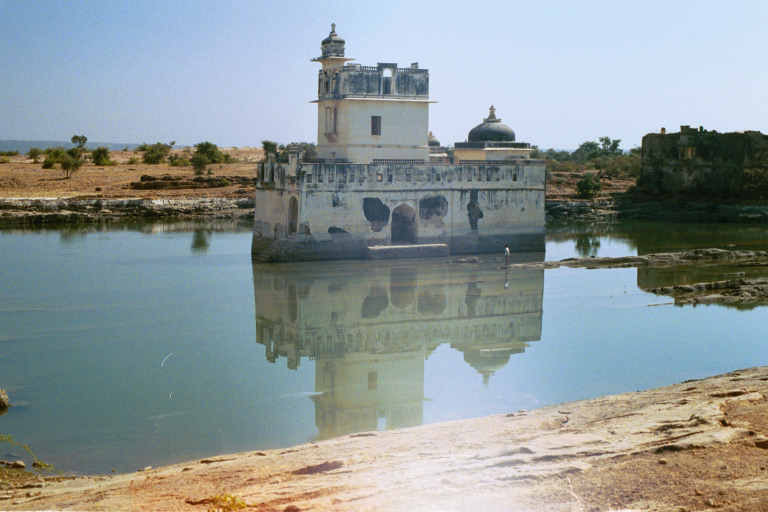 Padmini Mahal: this is the palace constructed next to amazing lotus pool in fort. The ruler Alauddin Khilji first saw the reflection of Rani Padmini at this lotus pool. He got very impressed by the appearance of Rahi. Khilji decided to possess the Rani Padmini at any cost. However, such thing his army applied on local ladies as well which increased the mass suicide of females in the Chittorgarh fort. Kalika Mata Shrine: constructed as Sun Temple is another tourist place in Chittorgarh. This temple was constructed in eighth century dedicated to Kalika Mata. Some other tourist places in Chittorgarh are Kumbha Shyam Temple, Meerabai Temple, Gaumukh Reservoir, and Archeological Museum. This city is connected through rail and road. By Air: reaching Chittorgarh is possible through air but travelers have to reach Jaipur first. 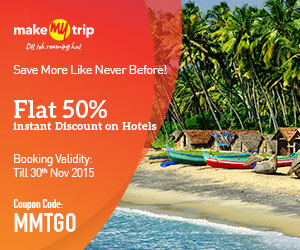 From Jaipur its just 304 kms away so travlers can hire the taxi or state buses from Jaipur. By road and Rail: getting state bus from Indore is possible, though Neemuch is the closest big railway station to reach Chittorgarh. Reaching time from Neemuch to Chittorgarh is only 1 hour 30 mins. This is great....Thanks for sharing this awesome blog..